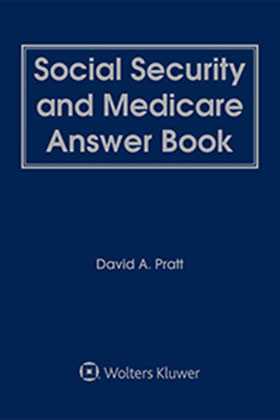 Social Security and Medicare Answer Book provides the specific guidance you need so you can ensure your clients receive maximum benefit under the law. 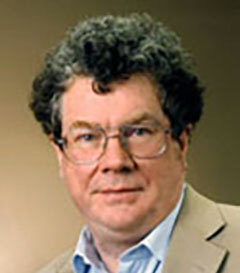 Does the health care reform legislation change the benefits under Part B? How has the Social Security Administration revised the disability determination process? What is the amount of an individual's Social Security benefit? Does my client need insurance to supplement Medicare? What level of retirement income will be needed to supplement Social Security? At what point are benefits lost if an individual continues to work beyond retirement age? Social Security: You'll find detailed explanations of the types of benefits available, who qualifies, how to apply, and what to do if you are denied benefits. You'll learn how to calculate benefits and when and how benefits may be lost. Medicare Part A: You'll find detailed explanations of the coverage and rules for each of the categories covered under Part A, namely, inpatient hospital care, skilled nursing facilities, home health services, and hospice care. Medicare Part B: You'll get full details on the specific services covered under Part B, including outpatient and partial hospitalization, home health services, nurse-midwife services, dental/eye care services, mental health services, and prescription drugs. Medicare Advantage: Sometimes called Medicare Part C (formerly Medicare + Choice), you'll get in-depth explanations of the expanded range of choices potentially available to Medicare beneficiaries including provider-sponsored organizations, private fee-for-service plans, and medical savings accounts. Medicare Part D: Learn the details of the best known feature of the sweeping Medicare reforms providing for the voluntary prescription drug program. How Big Is the Social Security Financing Problem?